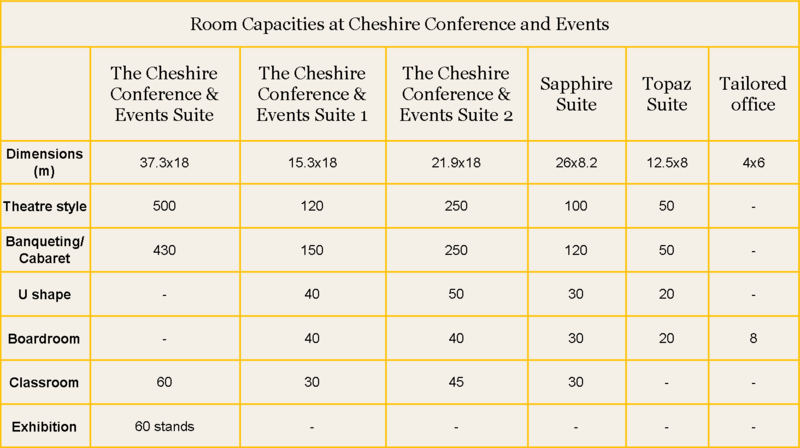 Cheshire Conference and Events, The hospitality arm of Stockport County FC is situated at Edgeley Park in Stockport, South Manchester. With modern facilities, free onsite parking and seven suites of varying sizes they have the ability to cater for both smaller celebrations and large scale events. The seven suites provide comfort and space, along with all the facilities needed to make your event successful and memorable. With their consistently high standards, our in house catering and friendly experienced staff we are rapidly becoming the ultimate choice for both private and corporate functions of all sizes. The main suite and one of the largest in the area able to accommodate up to 430 guests for a dinner or wedding. Located on the ground floor with direct access from the car park this suite offers its own reception area, 2 fully licensed bars, complimentary WIFI and integrated PA. This is an ideal facility for conferencing, gala dinners, presentations, product launches, exhibitions and weddings. The suite detailed above can be split into two smaller suites with the use of a sliding partition wall. Facilities in each room then include 1 licensed bar, complimentary WIFI and integrated PA. Either suite is ideal for conferences, gala dinners, weddings, presentations, team building days and private events. Both located on the first floor with lift access these suites provide direct access to the pitch along with licensed bar facilities. They are ideal for conferences, parties, weddings, christenings and networking events. Located on the ground floor this room is perfect for small boardroom meetings or could be used as a green room for VIPs. It benefits from natural daylight, is easily accessible and is close to the TNT Post Suite. 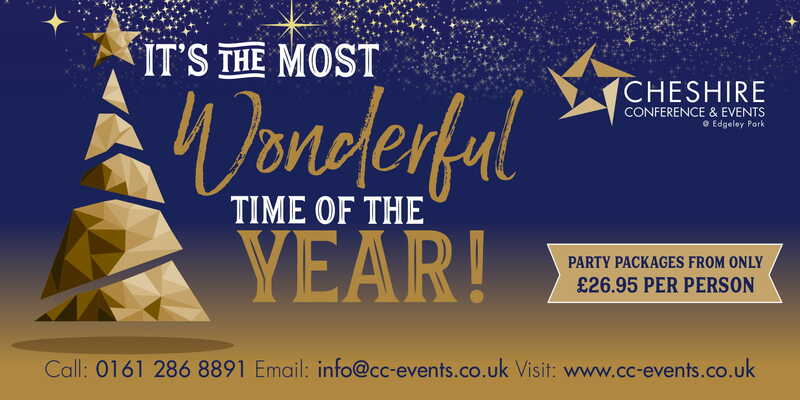 Christmas at Cheshire Conference and Events means great food, a well-stocked bar and a chance to let your hair down. We’ve got classic Christmas party nights, the incredibly popular Soul Kinda Wonderful are back again, and this year with not one but two nights the Mississippi Soul Man is back featuring classics for you to dance the night away to. And have you heard ABBA are making a comeback? Well you can catch their tribute here! UK Björn’s fantastic line up comprises of some of the most established Abba performers in the business, with decades of experience between them in some of the biggest Abba tributes globally. With not a prima-dona in sight and the only band rider being that everyone has a great time, UK Björn never fails to put on a show that keeps people coming back for more time and time again. The king of soul returns! Featuring all the greatest Motown hits, guaranteed to have you singing, dancing and clapping along! Fancy a night of nail biting action? Home to boxing event Heat Wave with KO Promotions, and Charity White Collar Boxing Show hosted by Shinny’s Gym on Saturday October 13th, Cheshire Conference and Events is increasingly becoming the place to hold a fantastic night of action in the ring! Each of the seven suites is licensed for civil ceremonies which means that they are able to offer you a choice of rooms in which to say your vows. Choose an all-inclusive wedding package, starting from just £2,550 for 60 daytime guests and an additional 40 in the evening, or opt for a tailor made solution….